I got this framed certificate from Rio Grande in the mail today. 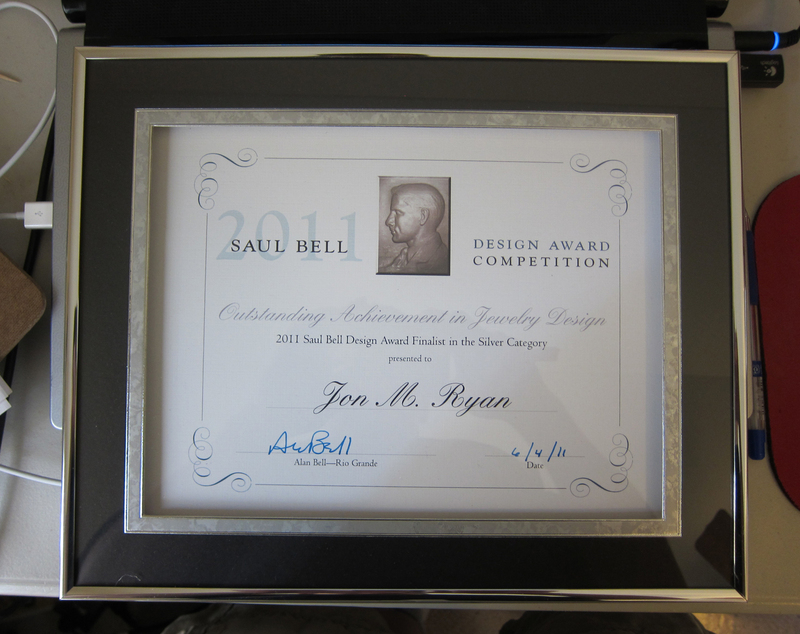 I wasn't expecting anything more about the 2011 Saul Bell Award since I was only a finalist. I visited San Diego May 18 - 25. I lived in Oceanside (45 min. north of San Diego) from Nov. 1999 - Dec. 2004. I went out there to go to GIA, then worked there a few more years. I left to go to grad school at the U of Iowa, with the intention of returning to the San Diego area as soon as I finished. I finished grad school at the end of 2006, and have been putting off returning to California since then. Currently I am putting it off till I spend at least one more year in Korea, but who knows what will happen after Korea. Anyway, I haven't been back since I left in 2004, and I have missed it and I really wanted to visit when I got back from Korea. Actually visiting California was one of the only things I was looking forward to doing this summer. I didn't do much during my trip. I drove around a lot. I like to drive and I like driving in Southern California much more than in the Chicago area. Much nicer scenery. I spent about $200 on gas during the trip. I went to places I used to go to, ate at restaurants I used to eat at, and met a couple friends. Furaibo used to be one of my favorite restaurants. I was happy to go there again. It's on Sawtelle Blvd, a Japanese area in LA. This is the corner of Sawtelle and Olympic Blvds. I always liked this neon aquatic scene. I went to the San Diego zoo. I had never been there before, I couldn't believe it cost $40 to get in! I don't know what happened but three ducks, two males and one female flipped out on some female duck and attacked her. 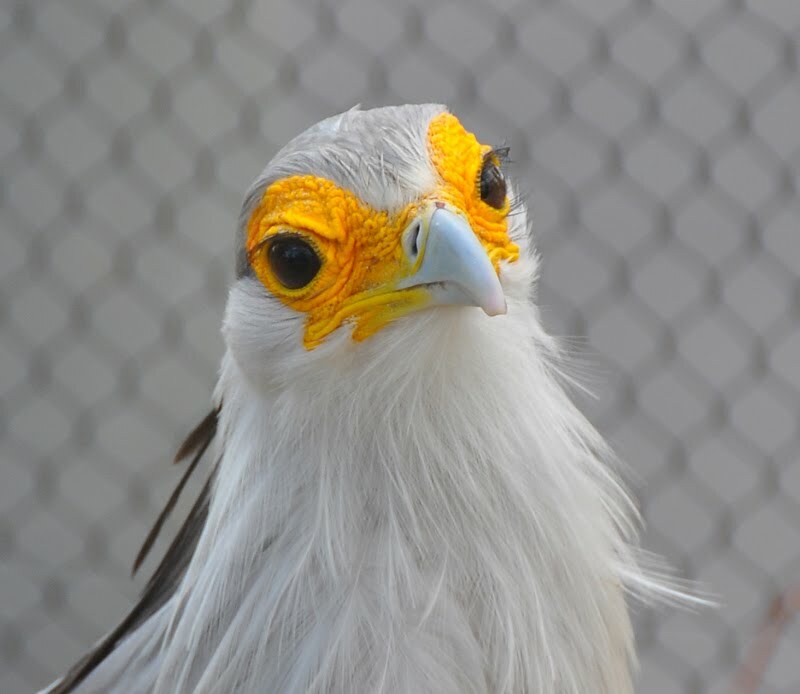 Eventually she was able to fly away. So my trip was really good. Not much had changed since I had left. After my trip I was wanting to move back there even more. So I'll try to do that someday after I settle down a bit. I have trouble staying in the same place very long, even California. I don't know what I'll do after at least one more year in Korea. There's a couple other things I am considering.